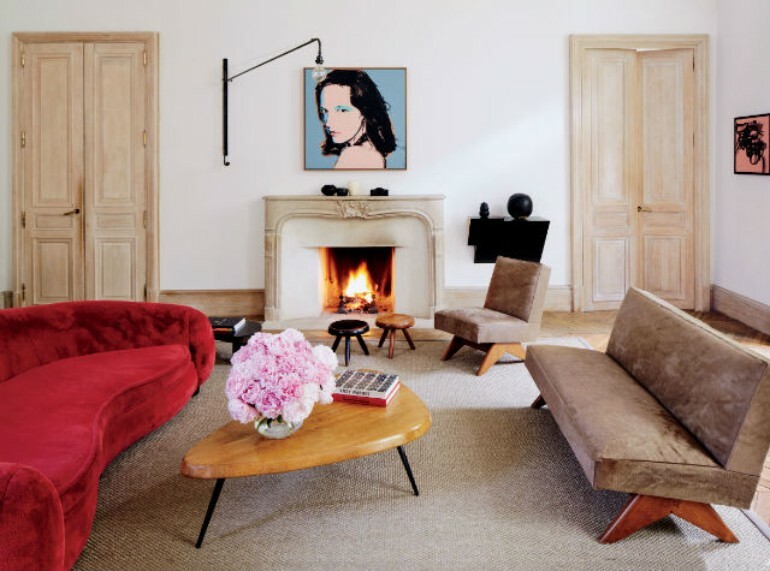 Let’s dive into Parisian interior design with these incredible living rooms! The Parisian style is marked by elegance and romance, with a touch of je ne sais quoi that makes this style so unique and loved. 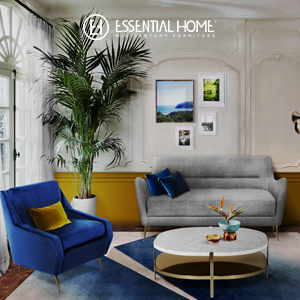 Because EquipHotel is slowly approaching us, today, we’re showing you some of the most beautiful living rooms in Paris to inspire you to change your own. Maybe you’ll even want to add a touch of Paris into your home after this. 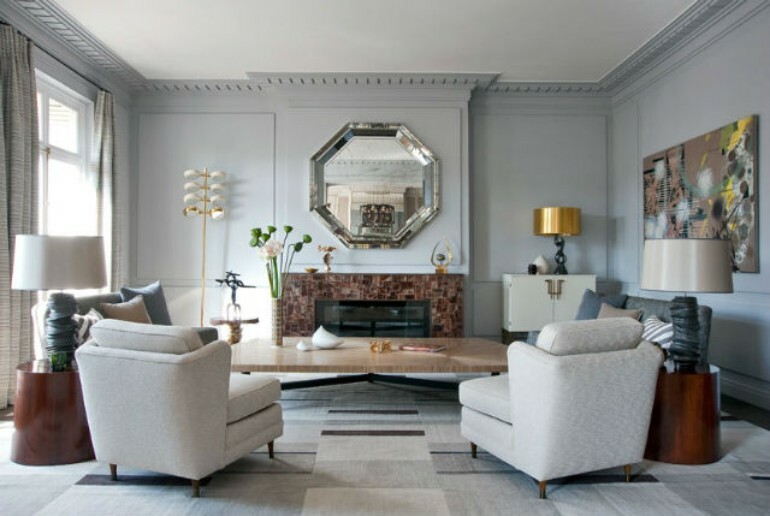 Parisians like their colored homes, the joyful union between their spaces and the beautiful country that is part of them, so that is easily seen in the interior design. You’ll find most of their homes to have white walls, contrasting with the colored furniture spread across the house. 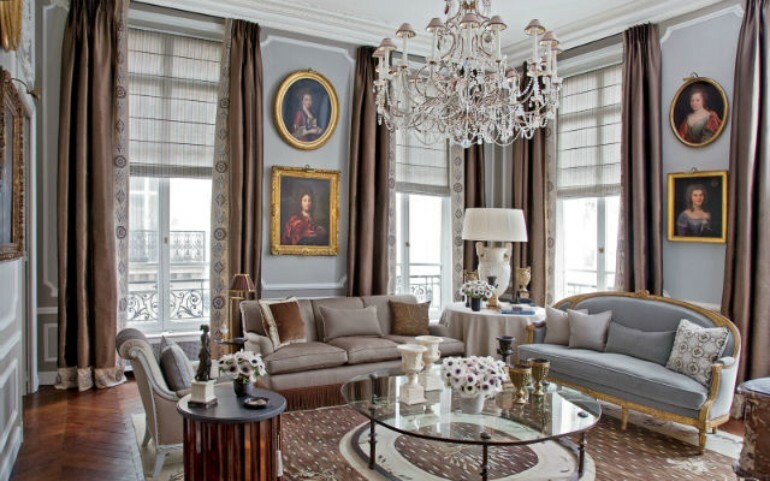 Luxury materials such as velvet run the Parisian interior design scene. Art reigns in living rooms, as well as incredible furniture pieces from the best Italian brands. 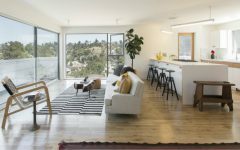 It’s a country known for its luxury fashion, art and design, and that is conveyed in the design of their homes as well. 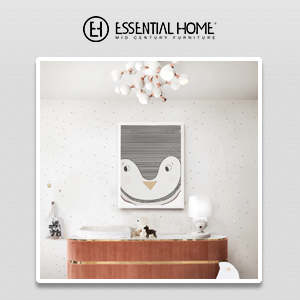 A good chandelier is essential when decorating with a Parisian style. 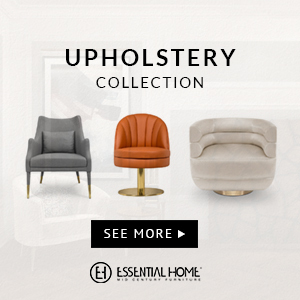 It has to ooze luxury and impose elegance and sophistication, not only in the lighting, but in its furniture pieces such as the upholstered sofas and incredible center tables. 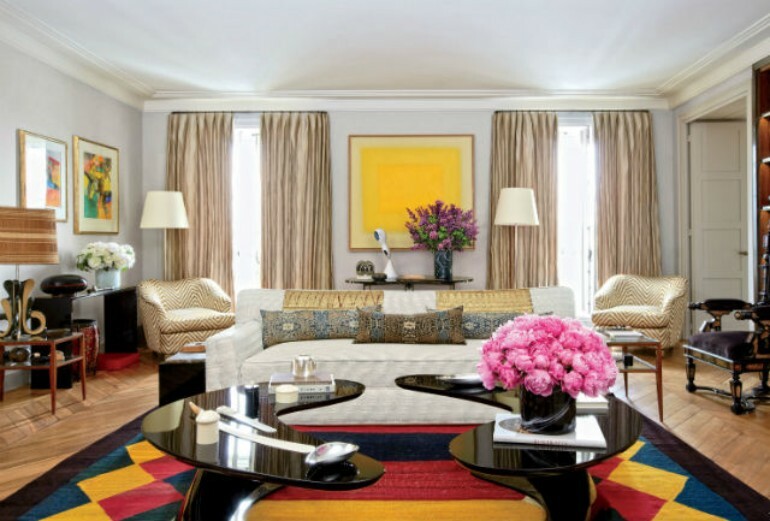 A contemporary and modern Parisian living room that easily showcases the duality of the white walls with the colorful furniture, such as the patterned rug with incredible colors that harmonize so well with the center table and art. Color and sumptuosity is what you can expect from Parisian living rooms, and that can easily be brought into your own living room with incredible furniture pieces such as a patterned rug that brings color and joy, a center table made of trendy marble, a sofa and armchair upholstered in velvet, a touch of nature and art, and you’re good to go! 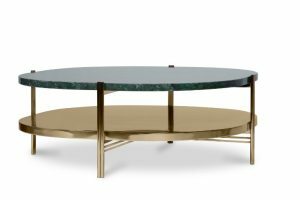 You’ll find incredible pieces for your Parisian inspired living room or contract project on Pav 2.2 A110 if you attend Equip’Hôtel 2018 this November from 11th to the 15th, in Paris. But if you want to discover more about incredible design, then visit Covet Paris, a showroom in the city of lights with Essential Home, DelightFULL and other luxury furniture and lighting brands from the same group, that you’ll absolutely love.